Antalya is a huge city and one of the main flight destinations when traveling along the turquoise coastline of Turkey. Especially the old town, named Kaleici, is a great place to hang out for a day or two. 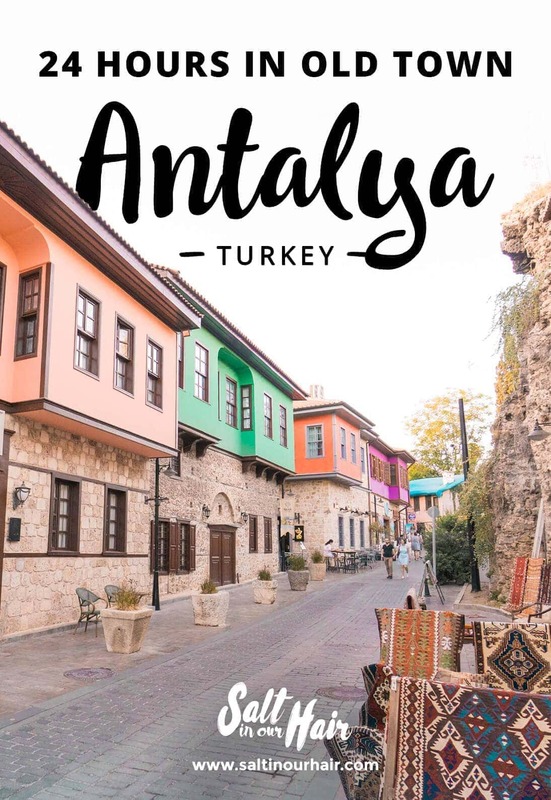 We had 24-hours in Antalya when we came back from our balloon trip in Cappadocia we noticed that Antalya was much better than we had expected! 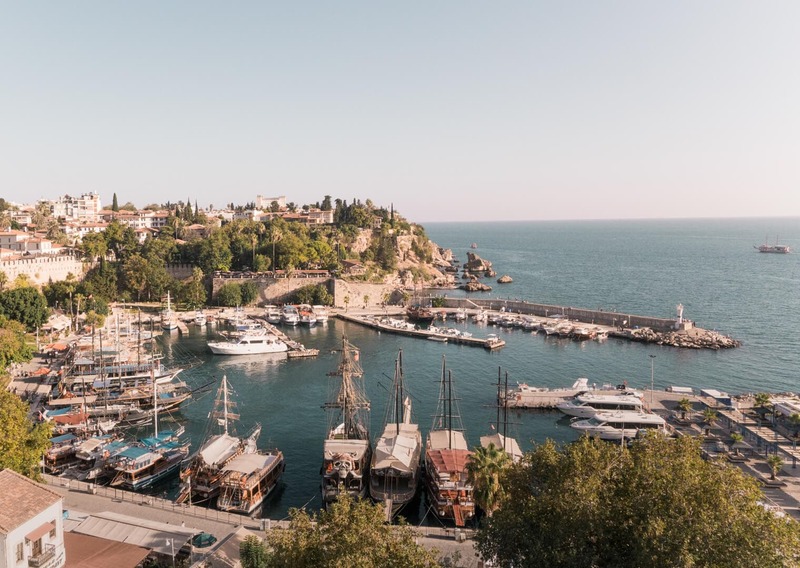 This is our 24-hours in Antalya Old Town Guide. In the daytime walk through old town. Is it a small maze featuring beautiful architecture, like the mosque and parks with people relaxing in it. It isn’t huge but it is big enough to wander around. Cars can’t really drive in the old town so it was such a pleasant escape in the middle of a busy city. Also, read the full coastal Turkey Route. It’s a great walk down in Old town and once you have reached the harbor it isn’t hard to get back up. The glass elevator is an iconic place in Kaleici. The elevator connects old to new Antalya. Once you took it to the top, the view over the harbor is one to enjoy for a few minutes. 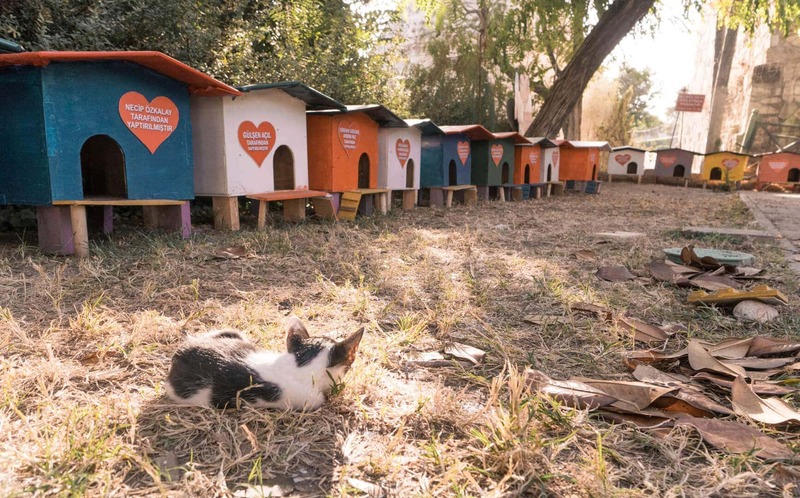 Near the Panoramic glass elevator viewpoint, you can play or take care of cats who are rescued. It’s just a super small park next to the main street and free to volunteer or walk through. When the sun starts setting, local people jump in the water to play with their kids. Walk all the way down to the pier, sit down on the edge and enjoy a perfect sunset. All the small streets of Kaleici are filled with little shops where you can easily get a good pair of trainers for a low budget price. But shoes are not the only thing you can shop, necklaces, beautiful clothing, sports outfits, you name it! The same counts for Turkish carpets. 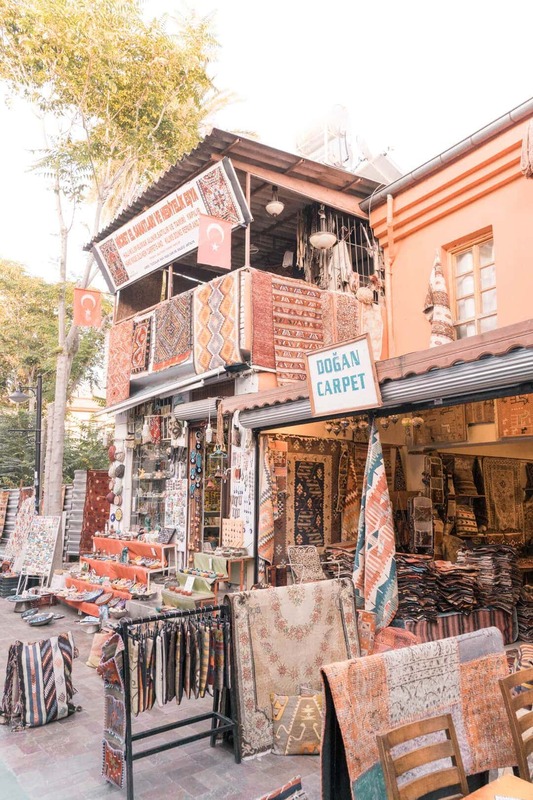 If you’re ending your trip in Antalya we highly recommend taking a carpet for your house. Cay Teas for a coffee or tea. For a cheap eat, just walk one street out of Old Town and visit Can Can, amazing Pides and Kebabs and super affordable! Without a doubt the best pasta and pizza in town at Gazetta but a little more expensive. Antalya offers hotels for every kind of budget. We listed two for each budget. Excellent location in old town with a great garden. Starting at $50 a night. Mind-blowing interior and a beautiful pool! Starting at $56 a night. 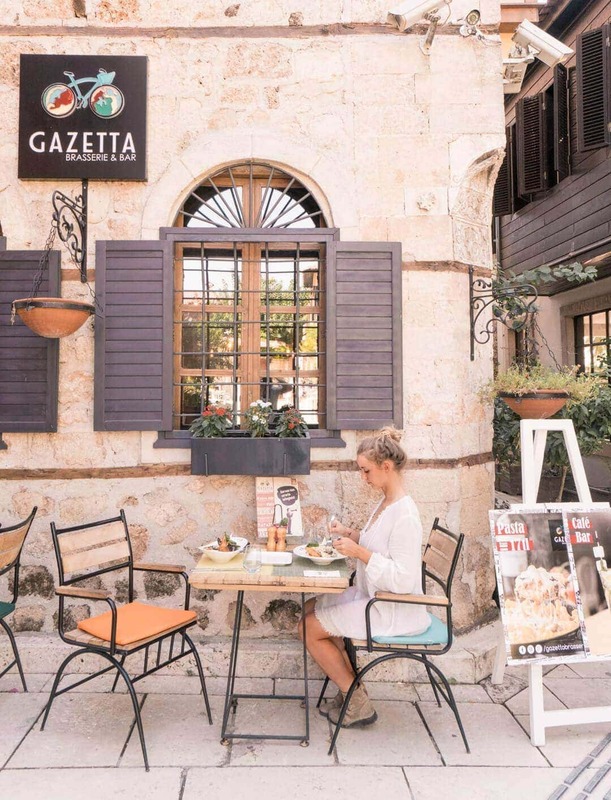 How to get in Kaleici, Antalya’s Old Town? Kaleici is in the Antalya city center and relatively easy to reach. From Antalya International airport, it’s a small 30-minute to Kaleici. Taxies have to enter old town through a gate and the road in Kaleici is only one way.